Exoplanets, or Extra-solar planets, are planets that orbit a star other than the Sun. Even though scientists have long known that planet formation in other solar systems must occur, it is only in recent years that technology has allowed us to detect these planets and verify their existence. There are a number of methods that allow astronomers to detect exoplanets. With these methods, scientists have identified over 3600 exoplanets. However, this represents a small portion of the exoplanets that may be out there as current technology enables identification of only a minuscule portion of the Galaxy's planets. There are four ways of detecting extra-solar planets. This is the most efficient method of detecting exoplanets available to scientists. 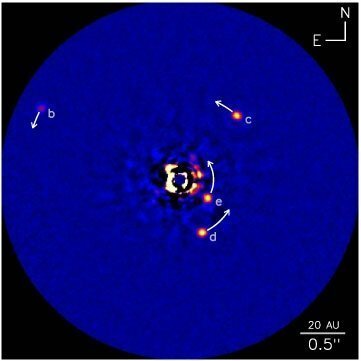 Its concept is simple: when an object, such as a planet, passes between our viewpoint and a star, it performs a "transit." A solar eclipse for example, with the moon blocking our view of the sun, is transit. Similarly, a planet of a distant star system can pass and block our view of its sun. Although we can't see these transits as the stars are too far away for us to observe the phenomenon directly, scientists can detect the amount of light the star emits. During a transit, the "blocking" of starlight betrays the presence of a transiting planet. If this decrease in emitted light occurs more than once, the exoplanet's existence is confirmed. 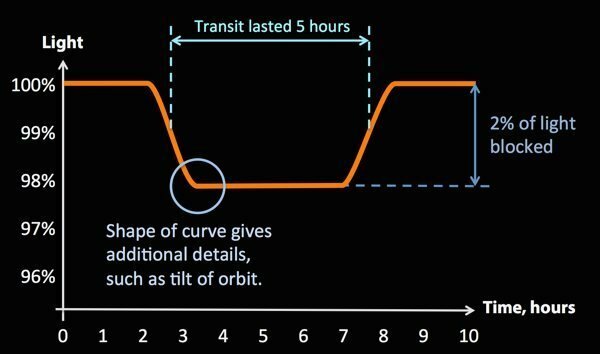 Based on the transit's length and on how much light is blocked, it is possible to calculate the planet's size, its orbit, and other useful data. The "light curve" indicates a transit. This method is valuable in detecting massive exoplanets with orbits close to their stars. All planets and their parent stars exert a gravitational force on each other and orbit around a common point. 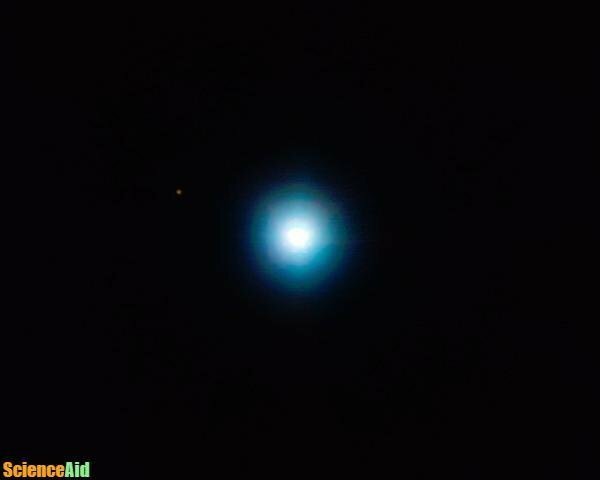 If a planet's mass is large enough and is close to its star, then this is observable. 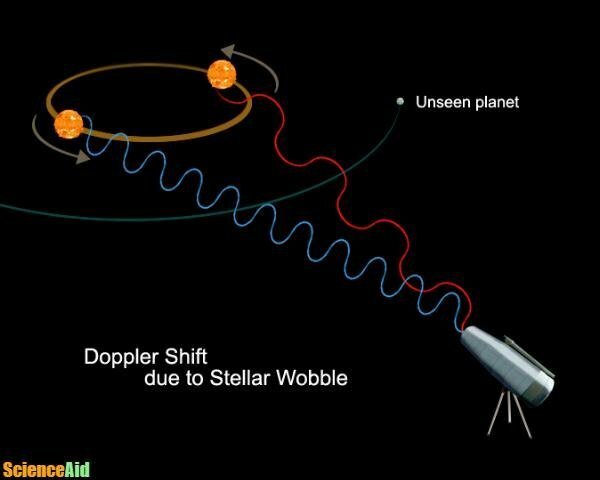 It is difficult to observe this directly, but scientists can verify it indirectly, through the Doppler Effect: a moving light source emits light at different frequencies. When the exoplanet moves towards us the frequencies are higher than when it moves away. If this sort of rate changes in a star is detected, scientists can tell it is moving in a circle, and deduce this is because it is orbited by a large body. Exoplanets are very distant and very dim compared to stars. However, it is sometimes possible to observe the distant masses. The direct imaging method works best on stars and planets with orbits very far out in their solar systems. Scientists have developed ways to block the star's light so that they can see the light of planets not too close to be lost in the glare. Planets which emit more light (usually these are larger in size and younger in age) are easier to detect with this method. Light emitted from a distant object such as a star or a Galaxy can be bent by gravitational forces. This enables viewing of the object at a different location than where it is actually located. This is called gravitational lensing as the gravitational field acts as a lens by magnifying the light of another bright object. Microlensing is the same thing but at a smaller scale. When a star passes in front of a more distant bright object, the star creates a gravitational lensing effect while a planet creates another lensing effect. 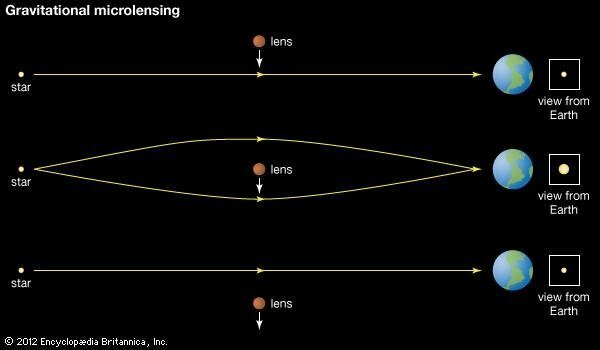 The difference between lensing from a star and a star-planet system allows detection of exoplanets. While this method allows the detection of planets, regardless of orbital distance or size, it is rare to observe such an effect, and the findings cannot be duplicated by further observations. MLA (Modern Language Association) "Exoplanet Detection." ScienceAid, scienceaid.net/Exoplanet_Detection Accessed 20 Apr 2019. Chicago / Turabian ScienceAid.net. "Exoplanet Detection." Accessed Apr 20, 2019. https://scienceaid.net/Exoplanet_Detection. Thanks to all authors for creating a page that has been read 39 times.